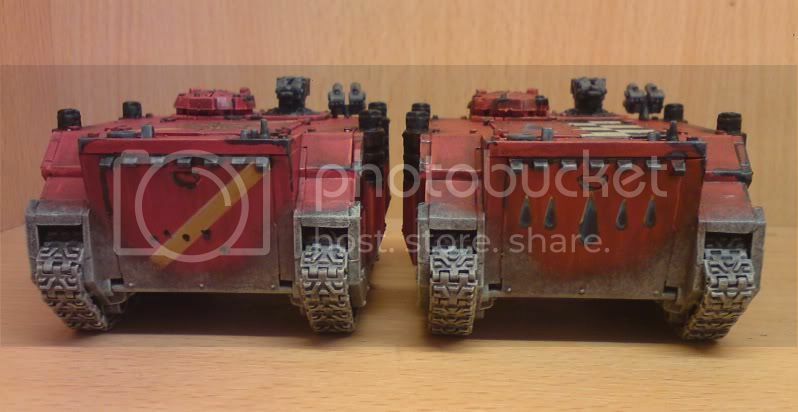 BA Blog 10th March More Vehicles. 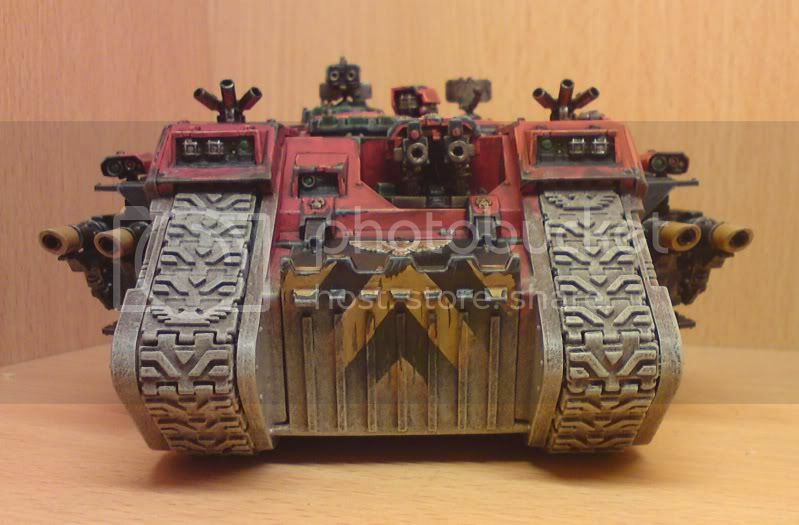 Portal » Board index ‹ Blogs ‹ Cain Tiberius's Blog ‹ BA Blog 10th March More Vehicles. Greetings peeps. Finally got the other 2 Rhinos and the Landraider from my old force painted up. Pretty strait forward really, no complex resorations or conversions. Rhino's for the 5th and 6th Squads. No razor option as the lids where already glued down. The Landraider I simply darkened up in the same manor as the old squads. I redid some of the detail and added more to bring it into line with the rest of my vehicles. 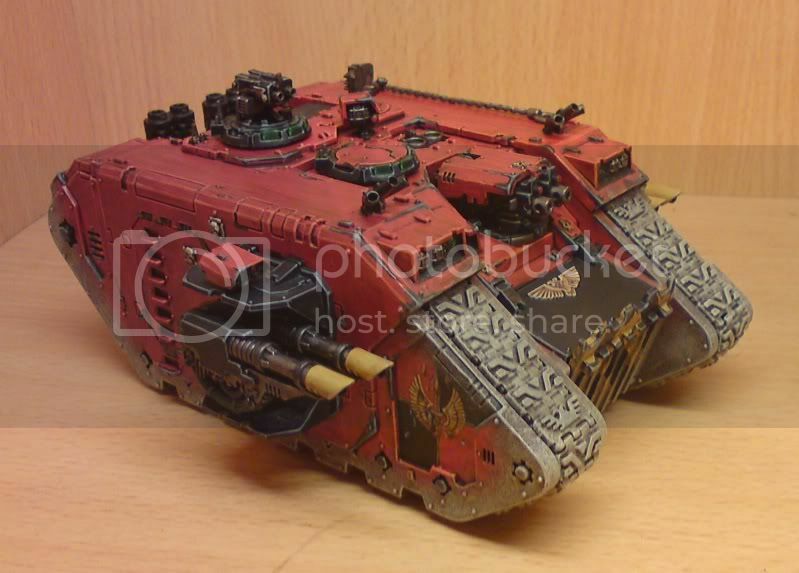 While technically I can use the Landraiders for any squad, I am putting the heraldry for Veteran squad leaders (Terminators/Sterguard/Vanguard) This one bears the heraldry of Lorenzo from space hulk. Feel free to comment or crit. Re: BA Blog 10th March More Vehicles. 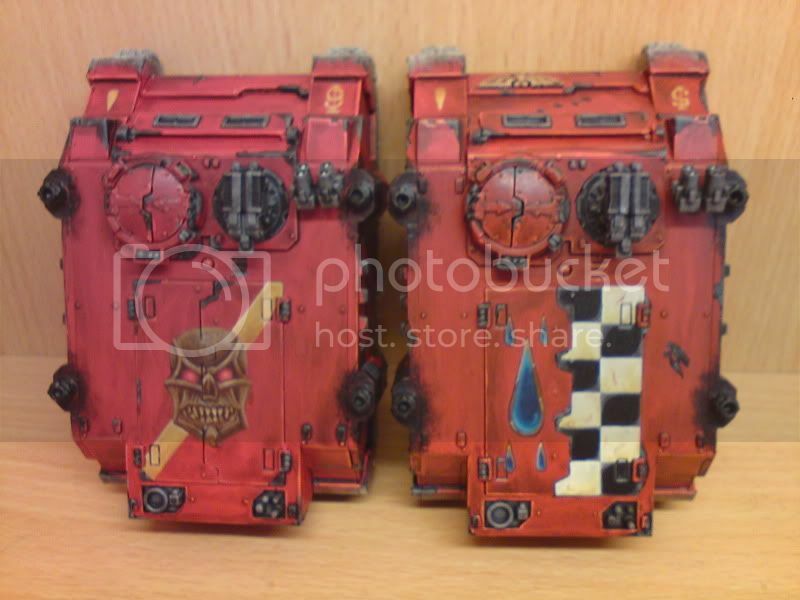 These 3 were a simple re-paint really, so not that diffficult. The previous entry I made on 17th Feb had been a fairly major restoration. Eldar 12/08/13 Farseer and Ranger Squad. Malifaux: Oiran for Ten Thunders. Eldar Blog 21st July 2013 Guardian test scheme. Malifaux: Ten Thunder crew led by Mistress Misaki. 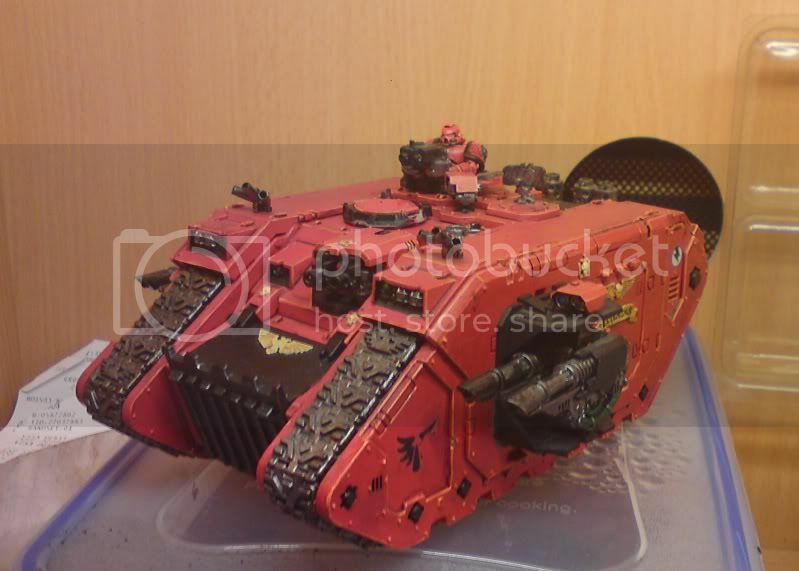 BA Blog 12/03/13 Army Pic so far. Rocks and ruined temple Bases. BA Blog 9th Nov 2012: New Cpt Aphael, Honour Guar and Ride. BA Blog 17th Feb Ebay Rescues. BA Blog 1st November Old models updated.